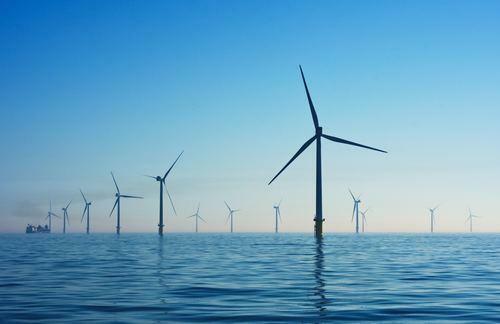 Offshore wind turbines threatened by hungry bacteria? In recent decades, approximately 80 offshore wind farms, accounting for 2850 wind turbines have been built as part of the transition from fossil fuels to renewable energy. Installing offshore wind turbines is a challenge in itself. Once installed, the operators of these farms are faced with a new challenge. Over time, the wind turbines are damaged by corrosion. The conditions at sea - high salinity, water and oxygen - are ideal for the formation of corrosion. Furthermore, the inside of the monopiles, this is the part of the wind turbine that is situated in the sea bed to just above the sea level, appears to be vulnerable to corrosion. On the outside, the wind turbines are coated and/or installed with a cathodic protection system. However, in many situations, no additional protection measures are taken for the inside of the turbine, except for creating anaerobic conditions. Depending on the situation in the monopile, corrosion problems caused by microorganisms (MIC) can develop. Microbial Analysis is commissioned to investigate how important the role of bacteria in these corrosion processes is and how this influences the life span of the monopiles. In other words: do bacteria eat our wind turbines? 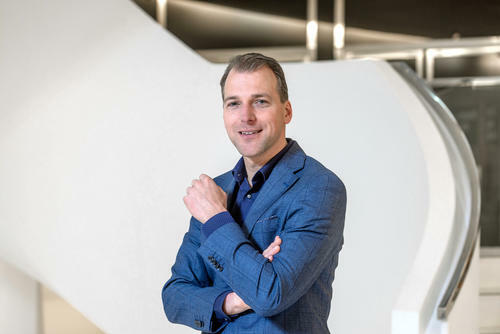 At request of Eneco the offshore Prinses Amalia Wind Farm, located at approximately 28 kilometres off the coast of IJmuiden, is selected as a research object. For this project, we cooperate with experts of Eneco, Corrosion (material engineering lab) and C-Ventis (offshore sampling). This project is co-financed by the TKI programme offshore wind. Our goal is to develop a standard procedure to determine the severity and the progression of MIC. For this purpose, we first need to understand the specific microbiological processes that take place at the monopiles. Step 1 Developing reliable and safe sampling methods that are suitable for the inside of the monopiles, which are difficult to access. Step 2 Analysing of the samples with Next Generation Sequencing and chemical and mineralogical analyses. Step 3 Developing a data processing tool in order to predict material loss due to MIC in the monopiles based on chemical, physical and microbiological data. The end goal of this project is to develop a MIC-predict tool to predict the remaining life span of the Princes Amalia Wind Farm. Potentially, this tool is also suitable for wind farms that are engineered differently. Engineers and operators of offshore wind farms can use the know-how we acquired during this project, in order to control operating costs and make wind farms safer and more sustainable. More insight in corrosion processes. Insight in material loss + the estimated life span of wind turbines. Data to determine monitoring frequency. Insights that could help to protect wind turbines in the future by modifications in design and/or preventive measurements.